Once again our plans to spend the weekend jumping at The Ranch were thwarted by mother nature. Nothing but winds and rain up there! Big thumbs down! 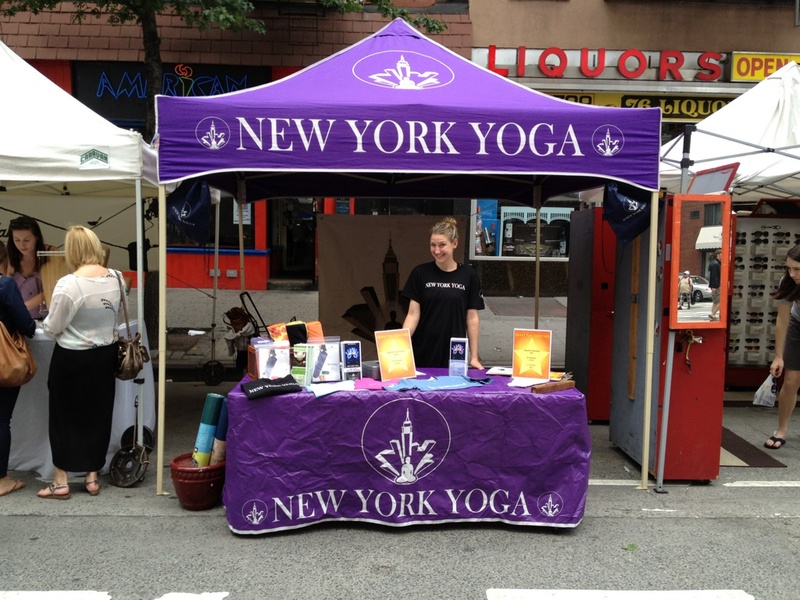 So I worked the New York Yoga booth at the 1st Avenue Street Fair instead. It’s actually pretty fun, minus the cold/occasionally weather. You can imagine my excitement when I noticed we were located just half a block from the Pickle Me Pete booth. I found these guys at a street fair last year and it was love at first sight. 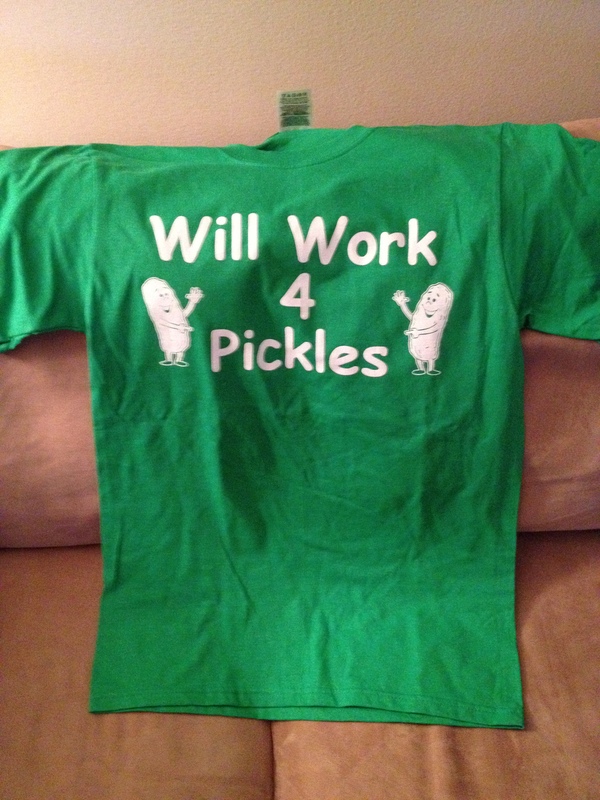 Now, most of you know my serious addiction love for all pickles (this does not include anything other than cucumbers…don’t even show me a pickled egg- the whole concept freaks me out.) So, obviously all I could think of while talking to people about the studio was how soon I would be able to get over there and get myself a pickle. They have so many varieties, but my favorite is the “ridiculously spicy pickle”. These things are so hot they actually come with a disclaimer! 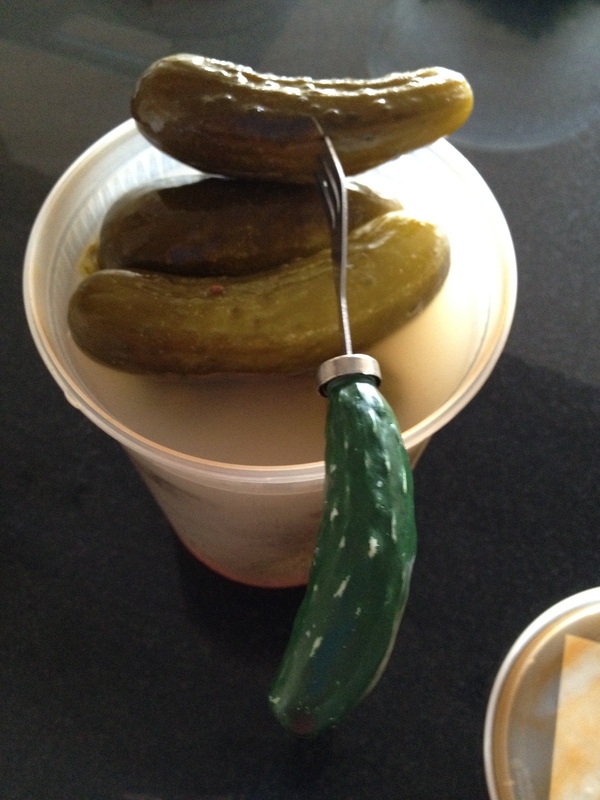 It was really hard to wait until I got home to bust open the jar of pickles, but once I did……a.maze.ing! 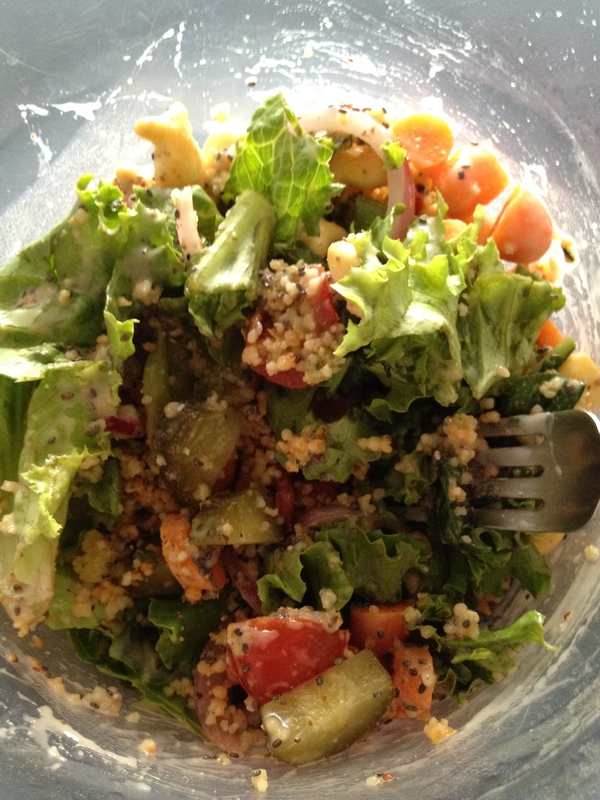 I had a couple bites of one and then added the rest to my random salad of romaine, cous cous, tomato, carrots, onion, and goldfish. 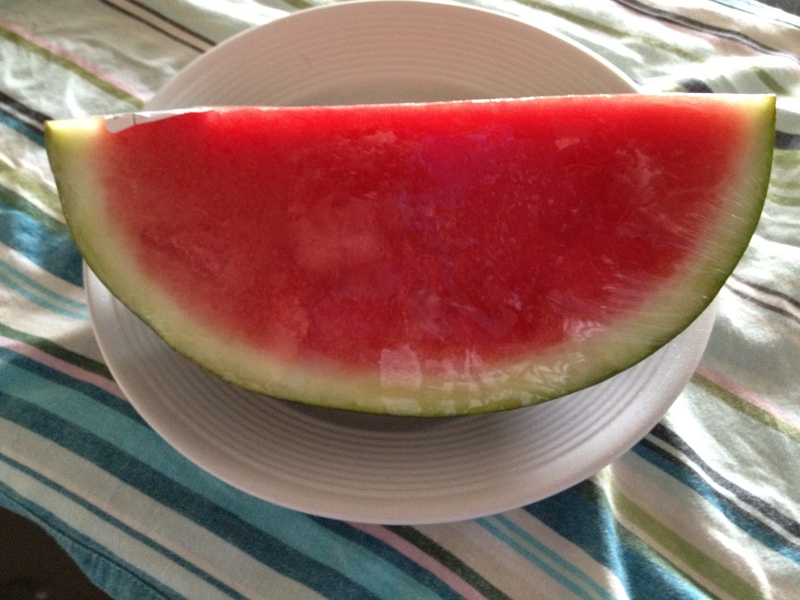 The salad toned down the pickle just enough and the pickle enhanced the salad in the best way possible. It was so nice to sleep in this morning! I had a run in mind, but just another short one (2 or 3 miles). I almost NEVER run on a treadmill because I detest it- I really like to get somewhere; but today is the Puerto Rican parade and festival and the upper east side turns into complete mayhem. So…I headed to the gym and put in a fast 2 mile run. I wanted to get off that thing as quickly as possible. It was also 200 degrees in the gym. Why do they keep it so hot in there? After my run, I did 30 minutes on the elliptical and walked out a sweaty mess. 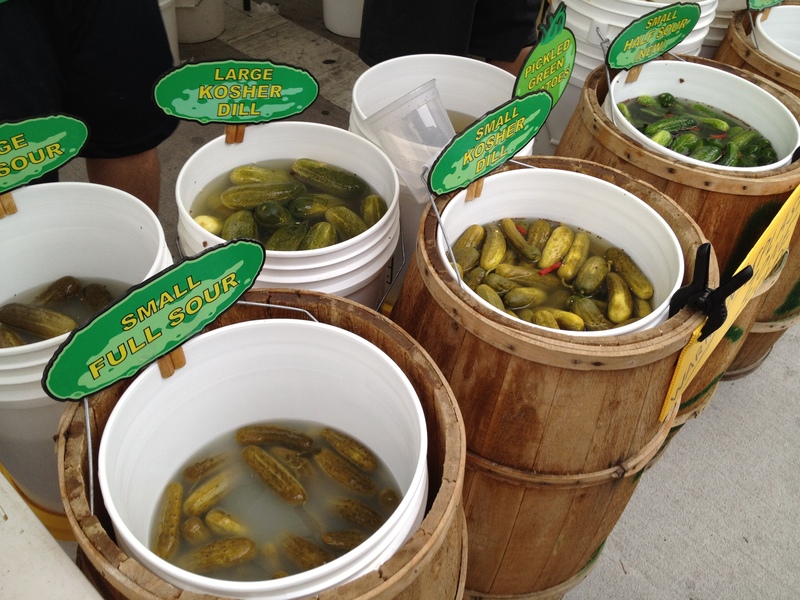 Do you love or hate pickles? Sweet, spicy or dill?